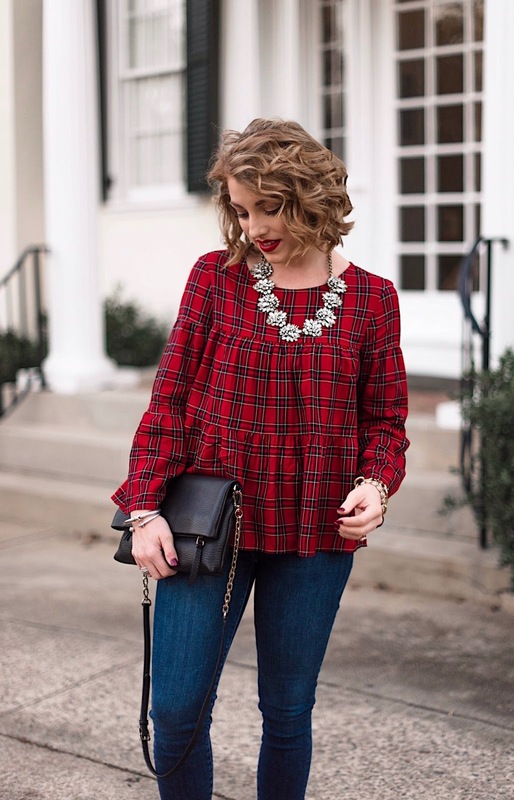 Today Madeline and I are sharing a little bit of holiday style with our festive prints. 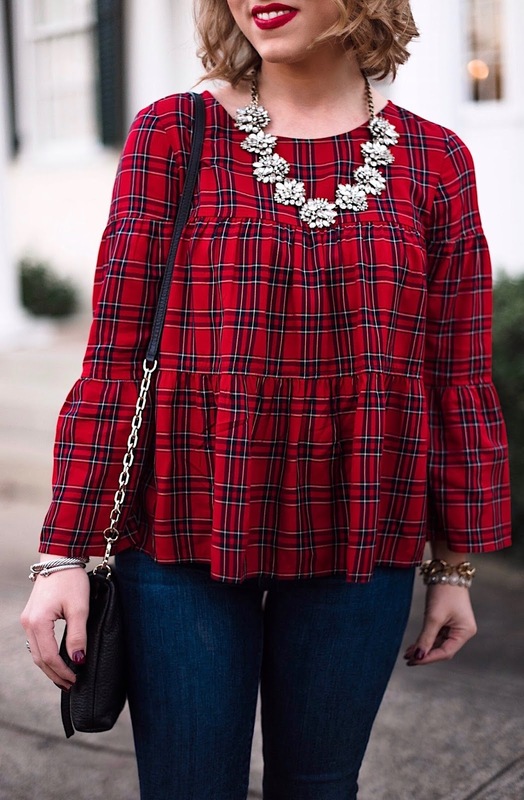 I purchased this tiered plaid topa few weeks ago, and I think it has to be my all time favorite festive top. It fits soooo cute and has the most adorable little details, like the buttons down the back. I love the cheerful look it creates. I decided to style it in a bold way with my favorite leopard pumps. Seriously, they're amazing and are under $100. I also wanted to add a hint of sparkle to the look by pairing it with the gorgeous statement necklace sent to me by Baublebar. It adds the perfect amount of sparkle to so many looks and is currently 25% off with the code GIFT25.